Apple Music is on track to overtake Spotify as the biggest music streaming service in the United States. Apple’s service has been growing twice as fast, according to industry sources. If it maintains its current pace it will topple Spotify this summer. 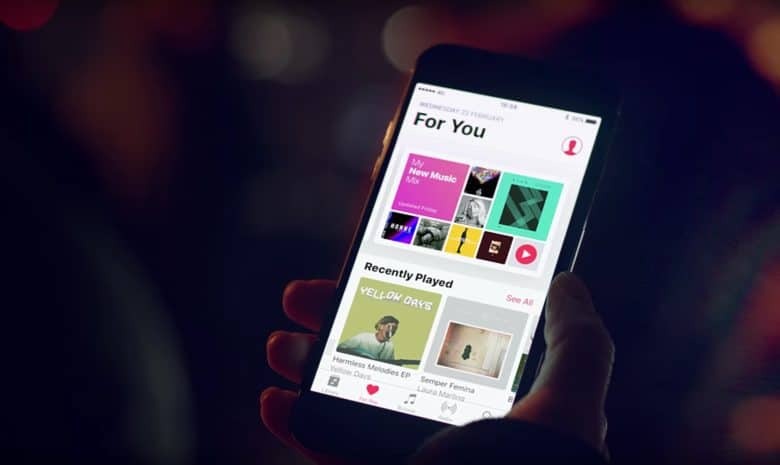 Apple Music had a mammoth task on its hands when it made its debut in June 2015. Spotify was already dominating the music streaming business and comfortably batting away the competition. Apple Music is proving to be a very different foe. Thanks mostly to the popularity of Apple devices, which provide incredibly easy access to Apple Music, the service has been growing 5 percent every month. In comparison, Spotify has a monthly growth rate of just 2 percent, according to sources for The Wall Street Journal. Spotify still has almost twice as many paying subscribers as Apple Music — 70 million versus 36 million — and it is growing faster globally. But in the U.S., at least, Apple could overtake this summer if it maintains its current growth rate. Subscriptions will surely be boosted by the launch of HomePod this week, which is designed to work seamlessly with an Apple Music subscription. Spotify, Tidal, and other third-party services can only be played on HomePod via AirPlay. Regardless of which position on the leaderboard you’re in, though, it’s a good time to be in the music streaming business. After finally overtaking digital downloads in 2016, streaming revenue rose a whopping 53 percent in 2017 to $3.4 billion. “Digital streaming has saved the record industry, with ad-supported and subscription music services driving a third consecutive year of increasing revenue,” said the Digital Media Association in January. More than 221 million people will have a music streaming subscription by 2020, according to Statista. That’s more than double the 106.3 million subscriptions just two years ago.